New Zealand’s leading manufacturer and distributor of quality marine safety equipment, Hutchwilco Limited, has acquired Actron Fire Services. Based in Westhaven, Actron Fire Services is a specialist in marine fire safety requirements servicing the greater Auckland region. The company specialises in hand operated fire protection services and related safety equipment for commercial, marine and domestic use. Hutchwilco Operations Manager Bernard Orme, says the acquisition of Actron is part of a long-term growth strategy for the company and further strengthens Hutchwilco’s position in Westhaven and the greater marine safety sector. “We are continuing to look for opportunities to expand our maritime safety service offer. Actron’s previous owner Brett Nielsen, established the business and has a built up a fantastic reputation in the fire service industry, and will be staying on as a consultant to help us invest new resources into the business to take it to the next level,” says Orme. Hutchwilco already has a strong presence in Westhaven via its Wilco Marine Services division – a specialist in liferafts, inflatable boat repairs, EPIRB/PLB servicing, and a extensive range of marine safety equipment. 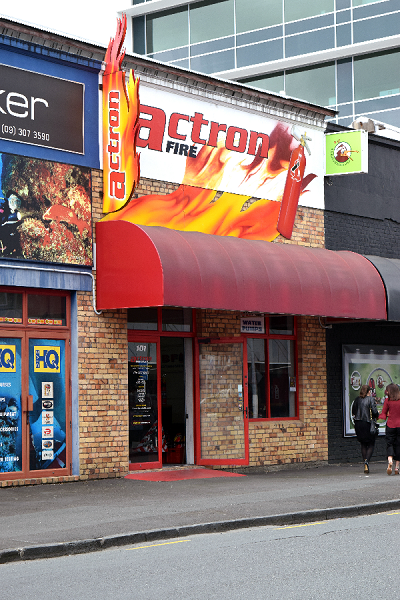 Actron has five staff members, who following the acquisition will continue to operate out of Actron’s premises at 101 Beaumont Street in Westhaven. Hutchwilco Limited is a proudly New Zealand owned and operated manufacturer and distributor of quality Marine Safety Equipment, recreational and performance Watersports Products and nationwide agents for industry leading brands such as ACR, PAINS WESSEX & ZODIAC MILPRO.